It’s been a wonderful month for M4KI. Thank you again for your prayers and continued support for this ministry. Lifesong for Orphans is an international orphan care ministry in 12 countries around the world. This month, M4KI was able to donate two full M4KI libraries to their ministries in Zambia. 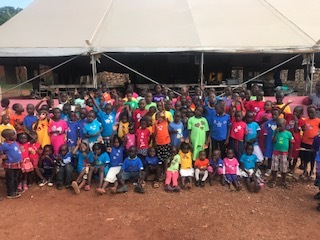 Please pray with us that these M4KI libraries bring God’s truth and light to the hearts of vulnerable children in Africa and in every corner of the globe. We want to extend a hearty “THANK YOU” to Vision Video and The Christian History Institute for their wonderful donation of 25 M4KI Libraries! Our goal this year was to get out 50 M4KI Libraries to orphans around the world, so we are excited that God has begun to provide through friends like you who are helping us to reach this goal. If you serve or know of a ministry that serves vulnerable children, we would like to help by providing you with a Media Library free of charge. If you are able to help sponsor a Media Library, please visit the Donation Page on the website or send a check to the address below. Your help is greatly needed and appreciated. Please visit our newly updated website at http://m4ki.org Send us your stories and comments of how the DVD’s have impacted the lives of the children you serve! We would LOVE to hear from you.